The new Classical Concert series 2014 presented by The Piano Shop and ARTPlus Foundation debuts at Meta House (Sothearos Blvd between Sihanouk and St 194), with Duo Conertante (cello and flute) playing music by Marini, Vivaldi, Mozart and more from 8 pm. $5/$2 with wine. Meanwhile, at the other end of town a night of Cambodian music at Doors (Cnr Sts 47 and 84), and also at 8 pm, presented by Cambodian Living Arts, including performances of many traditional instruments including chapei dang weng (long-necked lute) and electric guitar, plus singers. $3 entrance. All week at Bophana (St 200, between St 63 and Monivong), the continuation of their Rithy Panh retrospective until Friday night. Then the opening, on Saturday 1 at 5 pm, of a special exhibition of the maquettes and clay figures used in The Missing Picture. The exhibition runs until March 4. And way out at the InterContinental over the weekend, piano solo recitals by Japanese pianist Miki Aoki on Saturday 1 at 6.30 pm and Sunday 2 at 11 am. Tickets (starting at $20) on sale at the venue. Tuesday 25 from 8 pm, Classical Concert series 2014 presented by The Piano Shop and ARTPlus Foundation debuts at Meta House with Duo Conertante (cello and flute) playing music by Marini, Vivaldi, Mozart and more. $5/$2 with wine. Tuesday 25 from 8 pm, a night of Cambodian music featuring Cambodian Living Arts, at Doors, including singing, chapei dang weng, other traditional instruments and a bit of electric guitar for good measure. $3 entrance. 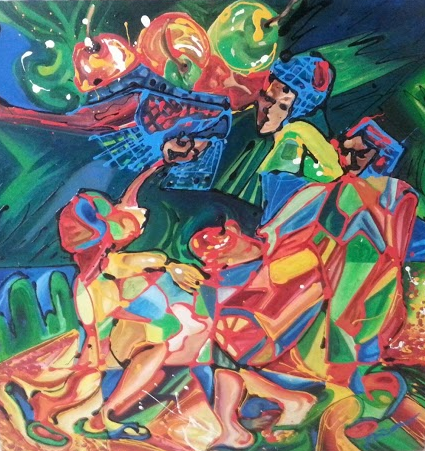 Tuesday 25 to Friday 28 at 6.30 pm at Bophana Centre, the continuation of their Rithy Panh retrospective. Saturday 1 at 5 pm at Bophana Centre the opening of a special exhibition of the maquettes and clay figures used in The Missing Picture. The exhibition runs until March 4. Saturday 1 at 6.30 pm and Sunday 2 at 11 am at the InterContinental, piano solo recitals by Japanese pianist Miki Aoki. Tickets (starting at $20) on sale at the venue. Greetings.As part of the Festival of India organised by the Embassy of India and the Ministry of Culture, Amrita Performing Arts are presenting performances of the Ramayana by the renowned Kalakshetra company from Chennai, continuing tonight Tuesday 18 and Wednesday 19 at Chaktomuk Theatre, at 6 pm. More infoMeanwhile, tonight Tuesday 18 in Siem Reap, it’s the fortnightly Spoken Arts night at Siem Reap Party House, from 8.30 pm. Speak, sing, scream, shout… it’s up to you. Also tonight Tuesday 18 Meta House (Sothearos Blv) is tantalisingly but obscurely hosting Meta Art Boutique: an exhibition of artworks by various Cambodian artists. All pieces are for sale. 6 pm. And also also tonight Tuesday 18, Bophana Centre (St 200, between St 63 and Monivong) commences a Rithy Panh retrospective, celebrating the nomination of his latest film The Missing Picture for an Academy Award. Every night until Friday 28 (except Thursday 20 and Sunday 23). Screenings commence at 6.30 pm, entry $3/$1. On Thursday 20 Bophana Centre hosts a special event featuring music students from the University of Rennes, in France, including collaborative items with Khmer musicians. From 6.30 pm, free entry. On Saturday 22, Phnom Penh Community College is holding back-to-back clay workshops: making a vase or bowl in the morning; making a hedgehog or turtle in the afternoon, both sessions run by Chhan Dina. Prebookings essential. Bophana’s Sunday CINECLUB at 3 pm this week screens six short films by young Khmer filmmakers, followed by discussions between the directors and the audience. On Sunday 23, Equinox (St 278, near Wat Lanka) presents the opening of a new exhibition by Kumnooh favourite Chann Dina, The quiet half of the sky at 7 pm. The series of paintings depicts “the surface reality of the daily work of Cambodian women, and draws up unexpressed dreams and aspirations from the souls of these mothers, sisters and daughters. […] These eleven strong pieces remind us of the people that we see, that we know, and that we are.” Not to be missed. Prepare for the Angkor Wat International Film Festival in Siem Reap, February 28 to March 2, at the Sofitel Angkor. Check out the programme in advance. Those who might be looking for grant support to further studies art in this part of the world may be interested to hear that SOAS (School of Oriental and African Studies) at the University of London, is offering £15 million in scholarships in the Southeast Asian Art Academic Programme, funded by the Alphawood Foundation, Chicago. “The aim of the academic programme is to advance the understanding and preservation of Southeast Asian Buddhist and Hindu art through study and research and to build and support a network of organisations and individuals in the Southeast Asian region who share and support this vision.” Applications close 14 March. 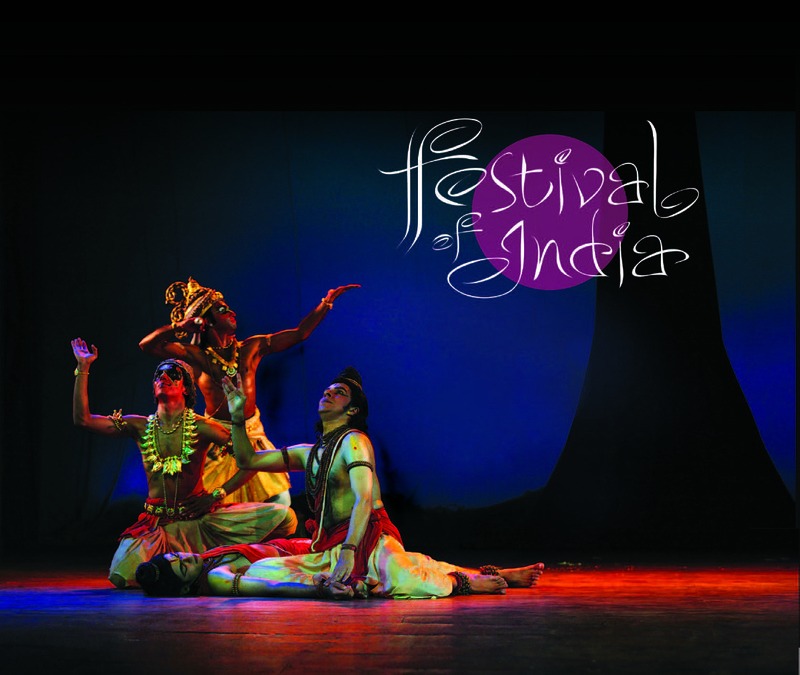 Tuesday 18 and Wednesday 19 6 pm at Chaktomuk Theatre, performances of the Ramayana by the renowned Kalakshetra company from Chennai, as part of the Festival of India. Tuesday 18 from 8.30 pm, Spoken Arts night at Siem Reap Party House. More infoTuesday 18 from 6 pm at Meta House (Sothearos Blv), Meta Art Boutique: an exhibition of artworks by various Cambodian artists. All pieces are for sale. More infoTuesday 18 to Friday 28, Bophana Centre (St 200, between St 63 and Monivong) commences a Rithy Panh retrospective, celebrating the nomination of his latest film The Missing Picture for an Academy Award (except Thursday 20 and Sunday 23). Screenings commence at 6.30 pm, entry $3/$1. Thursday 20 at 6.30 pm Bophana Centre hosts a special event featuring music students from the University of Rennes, in France, including collaborative items with Khmer musicians. Saturday 22, Phnom Penh Community College is holding back-to-back clay workshops, both sessions run by Chhan Dina. Prebookings essential. Sunday 23 at 3 pm, Bophana’s CINECLUB this week screens six short films by young Khmer filmmakers, followed by discussions between the directors and the audience. Sunday 23 from 7 pm at Equinox (St 278, near Wat Lanka), the opening of a new exhibition by Chann Dina, The quiet half of the sky at 7 pm. The series of paintings depicts “the surface reality of the daily work of Cambodian women, and draws up unexpressed dreams and aspirations from the souls of these mothers, sisters and daughters. […] These eleven strong pieces remind us of the people that we see, that we know, and that we are.” Not to be missed. More infoIn Siem Reap, McDermott Gallery Old Market has a new exhibition of lacquer pieces, Situations by Lim Muy Theam, capturing moments in the lives of Cambodians. Runs until February 28. More infoIn Battambang, Lotus Gallery, on St 2.5, presents the The darkness of the countryside, an exhibition by Battambang artists Nget Chanpenh and Hour Seyha. Runs until March. We begin the week at Meta House, tonight, Tuesday 11 at 6 pm in the Gallery: the opening of the second Svay Ken exhibit A good friend is hard to find, followed by the premiere screening of Nico Mesterharm’s 2008 video interview with the artist at 8 pm on the Rooftop. On Wednesday 12, Bophana Center is hosting a tribute to Pascal Royere, a French architect involved with the revival of Baphuon temple. The evening begins at 6 pm, and a screening of The People of Angkor will commence at 6.30 pm. Also on Thursday 13, Meta House and Amrita Performing Arts co-present a dance performance by Austrian troupe cieLaroque under the direction of choreographer Helene Weinzierl. The two-part show is entitled Is it Me/Think Fish. Starts at 8 pm, tickets $5 on the door. As part of the Festival of India organised by the Embassy of India and the Ministry of Culture, Amrita Performing Arts are presenting performances of the Ramayana by the renowned Kalakshetra company from Chennai. Performances in Siem Reap on Friday 14 and Saturday 15 at Phokeethra Ballroom at Sofitel, then in Phnom Penh on Monday 17, Tuesday 18 and Wednesday 19 at Chaktomuk Theatre, all starting at 6 pm. Tickets are free, in Phnom Penh only they can be picked up early from Java Cafe, Cambodia Living Arts office and a number of Indian restaurants in the city. Other festival events include a Buddhist festival, photography and butter sculpture exhibitions, monks throat singing and the creation of a sand mandala, at Wat Ounalom. The opening ceremony takes place Thursday 13 at 4 pm. Oscar 51 (Street 51, between 178 and 182) makes its first appearance on Kumnooh, hosting a Slam Poetry Night on Friday 14 from 9.30 pm. Performers will include Kosal Khiev, Ucoc Lai & Lionel Scherer. Slipping under Kumnooh’s nose last weekend was the opening of Fading Faces at The 1961 in Siem Reap: a dual exhibition by Kakkada Chhai and Phok Sopheap. The latest in the endless stream of photography competitions is by Transparency International. They are asking for submissions on the theme: how corruption negatively affects your life. Deadline March 14. Get amongst it here. Tuesday 11 at 6 pm at Meta House in the Gallery: the second Svay Ken exhibit A good friend is hard to find, followed by the video interview with the artist at 8 pm on the Rooftop. Thursday 13 from 4 pm at Wat Ounalom the opening of the Festival of India and Buddhist Festival.More infoWednesday 12 at 6 pm, Bophana Center hosts a tribute to French architect Pascal Royere. Thursday 13 from 6.30 pm at the Institut français du Cambodge, the Made in Battambang exhibition, with 26 artists, 113 works, and one live painting performance. Thursday 13 from 8 pm, Meta House and Amrita Performing Arts co-present a dance performance by Austrian troupe cieLaroque entitled Is it Me/Think Fish. Tickets $5 on the door. Friday 14 and Saturday 15, 6 pm at Phokeethra Ballroom at Sofitel Siem Reap, performances of the Ramayana by the renowned Kalakshetra company from Chennai, as part of the Festival of India. Friday 14 from 9.30 pm at Oscar 51 (Street 51, between 178 and 182) a Slam Poetry Night featuring include Kosal Khiev, Ucoc Lai & Lionel Scherer. Greetings.On Tuesday 4 Meta House presents a selection of the best of Interfilm Berlin, one of the world’s most important short film festivals, introduced by festival director Heinz Hermanns. Then on Wednesday 5, Hermanns presents the short film series Confrontations 2013: renowned directors from more than 10 countries focus on social injustice, intolerance, violence, war and exploitation. Both nights start at 7 pm, and screenings will be followed by Q&A. On Friday 7 Chinese House presents the opening of El Campo by Martin Bandzak, a photographic journey into the lives of the Subtiava community in Nicaragua. Proceeds from photo sales and drinks will go towards MAGNA, for the aid to people in need. The artist will be present. From 7 pm. On Saturday 8 at 3.30 pm and 6 pm, the Phnom Penh International Institute of the Arts (#134A, St 51) is hosting two chamber music concerts and an art exhibition for the World Mission for Leprosy. Ticket price $5. Contact 012 255 174 (Khmer) or 017 437 005 (English/Korean). On Saturday 8 at Meta House, artists Ernst Altmann and filmmaker Bjela Proßowsky introduce their participatory art project How to talk to dragons, combining video/photo, performance and installations to explore the different images of dragons in Asia and Europe. The night will include the staging of shadow-puppetry-play JMOM, set in Berlin. From 7 pm. This weekend it’s Battambang’s turn to host Our City Festival (Art, Architecture & Ideas), with a variety of exhibitions, tours, workshops and screenings. Check the website for details. The announcement came this week that the second Memory Film Festival will be held in Phnom Penh from May 31 to June 8 this year. More than 50 heritage films will be screened, from around the world, on the theme of laughter. Sounds like a hoot…. Tuesday 4, 7 pm, Meta House presents a selection from Interfilm Berlin, introduced by festival director Heinz Hermanns. Screenings followed by Q&A. Wednesday 5, 7 pm, Heinz Hermanns presents the short film series Confrontations 2013. Screenings followed by Q&A. Thursday 6 and Friday 7, Inventaires, by l’Atelier Théâtre, at the Phnom Penh International Institute of the Arts (#134A, St 51). Performances, in French, start at 7 pm. Friday 7, from 7 pm, Chinese House presents the opening of El Campo by Martin Bandzak, a photographic journey into the lives of the Subtiava community in Nicaragua. Saturday 8 at 3.30 pm and 6 pm, the Phnom Penh International Institute of the Arts (#134A, St 51) is hosting two chamber music concerts and an art exhibition. Ticket price $5. Contact 012 255 174 (Khmer) or 017 437 005 (English/Korean). Saturday 8, 7 pm, at Meta House, artists Ernst Altmann and filmmaker Bjela Proßowsky introduce their participatory art project How to talk to dragons, and shadow-puppetry-play JMOM, set in Berlin. Friday 7 to Sunday 9, Battambang hosts Our City Festival (Art, Architecture & Ideas), with a variety of exhibitions, tours, workshops and screenings. Check the website for details. Interpretations, exhibition of paintings by Polish born Phnom Penh resident Adrianna Snochowska, at Insider Gallery at the InterContinental Phnom Penh. Until February 8.